We are now a fully dedicated inbound marketing agency. 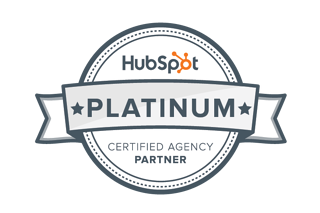 The evolution from The Kingdom Advertising to The Kingdom, a HubSpot inbound marketing agency is complete with the announecement of our HubSpot Platinum Certified Agency status, in just 10 months. A record for an Asia Pacific HubSpot Partner. We are Australia's fastest growing HubSpot Certified Partner. We service Adelaide, Melbourne, Perth, Sydney, Brisbane, and Gold Coast businesses looking to get a competitive advantage using the HubSpot Sales CRM and Automated Marketing software platform. We build intelligent websites using HubSpot, for your business to capture leads, grow engagement, build relationships and make it easier to convert sales. We banish cold calling and old fashioned low yielding, lead generation techniques using inbound marketing to create remarkable momentum for your business. What does The Kingdom do? We are HubSpot experts, providing training and management services for the HubSpot platform. We build personalised, responsive websites using HubSpot that interest your prospects and turn them into sales leads. The Kingdom programs your HubSpot portal to produce automated marketing lead generation. Our innovative team creates engaging blogs, Videos, eBooks, Podcasts, and website pages to get your business engagement. We throw petrol on your content fire with social media tactics that ignite web traffic. We lead nurture your prospecs down the sales funnel using your website with interesting and appropriate content that converts them to customers. As Shopify Partners we integrate Shopify into HubSpot using Revenue Conduit. We integration your legacy applications with HubSpot using the comprehensive HubSpot API libraries, PHP and JSON coding. We provide a comprehensive outsourced marketing department for your business. HubSpot is an automated marketing platform. Perfect for powerful lead generation through digital marketing. HubSpot has 15,000 customers worldwide and is listed on the NASDAQ stock exchange. We work with you to implement HubSpot along with a super-powerful content marketing strategy, powered by our 7 Stage, Grow Sales Fast Business System. An intelligent inbound marketing strategy will drive visitors to your website by providing search engines with the answers they need to feed to the people asking them questions. It's digital marketing on steroids. With HubSpot, we build you highly effective websites and a marketing plan that gets you leads. With HubSpot, we get your website making money for you. Inbound marketing done well results in powerful Lead generation for your business. Our digital marketing professionals drive your content with social media to attract customers to your site. Inbound marketing works; it is a point of difference, in a world where competitive advantages are hard to find. Importantly, inbound marketing works, giving your customer value for money and giving you dynamic website traffic. Our advertising background serves us well giving us a solid knowledge and experience foundation to drive your growth. As you can see, our portfolio for the five years since 2009 is wide-ranging and innovative. But now it is incorporated into our Grow Sales Fast Business System and our digital marketing, inbound methods. We are on the cutting edge of the social media, disruptive era. Moving fast with the digital marketing and social media times. Today we use our historical creative talents and experiences to supplement our Grow Sales Fast Business System and your successful HubSpot implementation. Would you like to know more about HubSpot?